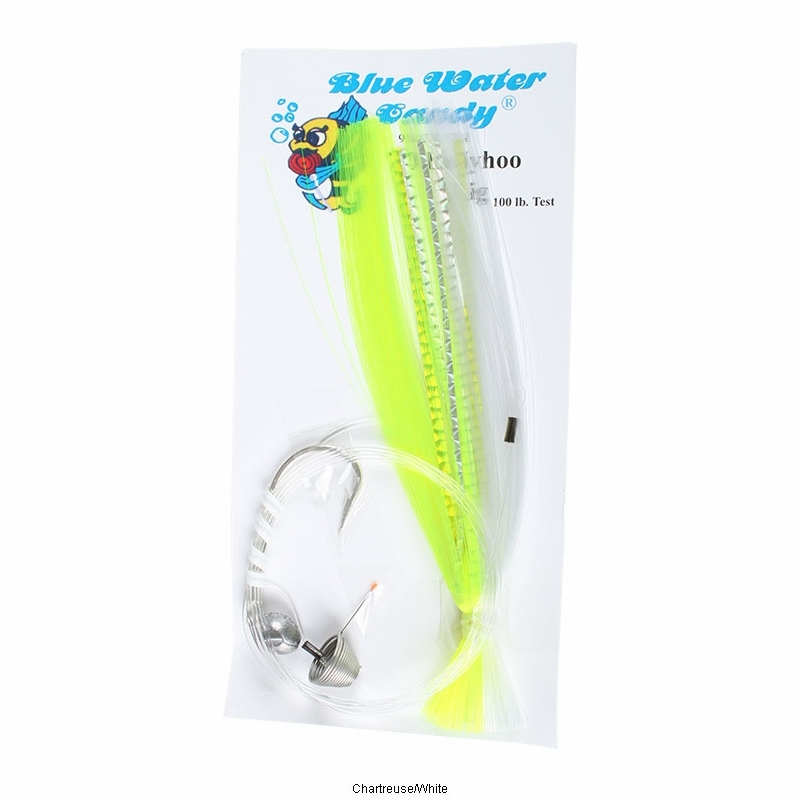 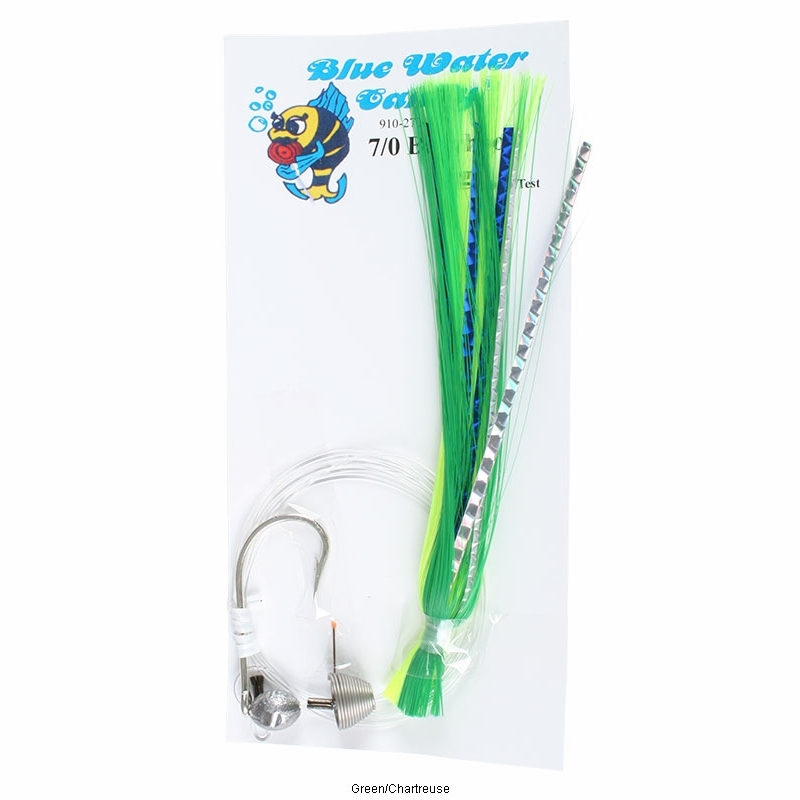 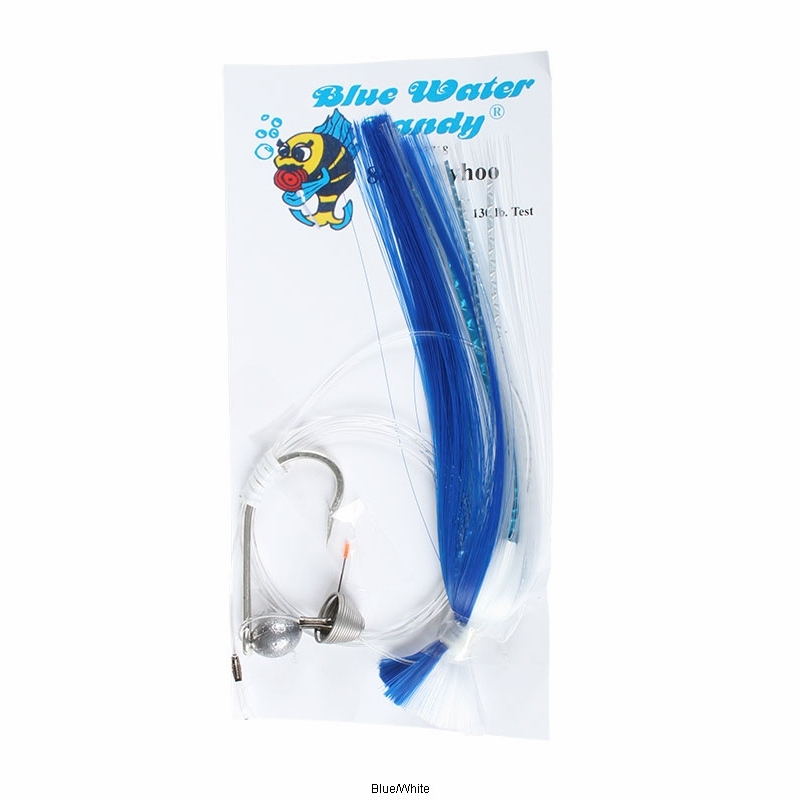 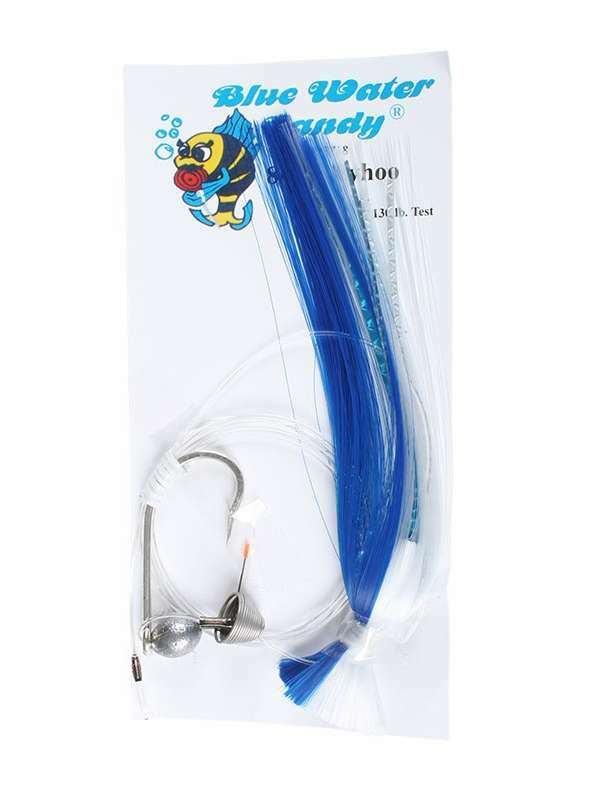 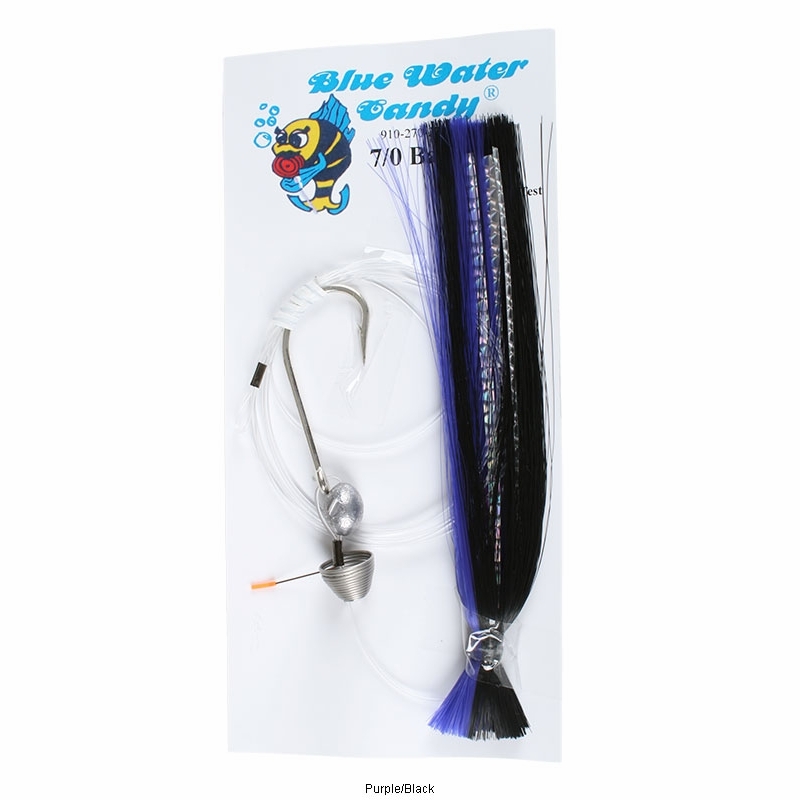 Blue Water Candy Skirted Ballyhoo Rigs are assembled with a 7/0 or 8/0 hook on a 1/2 or 1 ounce witch in various colors of hair and mylar. 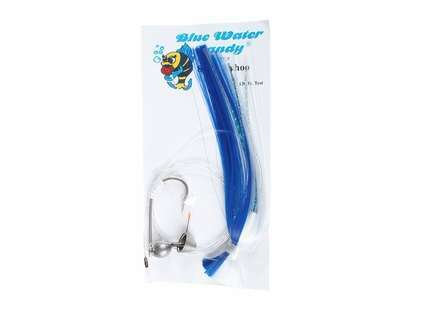 Comes with a nose spring, chin weight & 100 or 130 lb mono making them ideal for targeting dolphin, marlin, tuna, and wahoo. 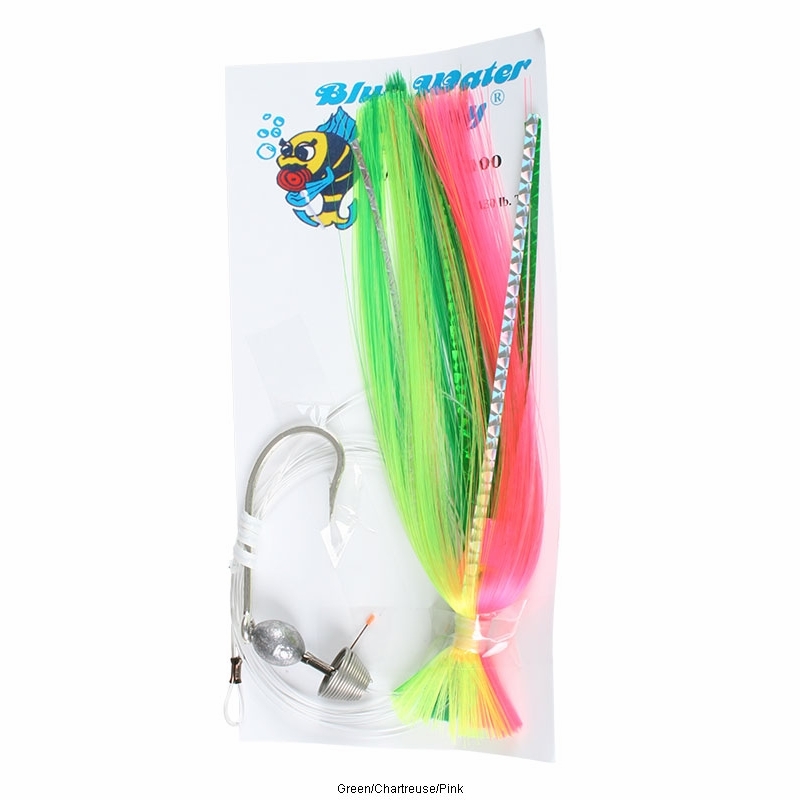 Sometimes when Dorado or other species aren't biting on plain ballyhoo these definitely help.